easily change position of additional images. The drag and drop feature will save you tons of time. It’s much simpler to drag a file into a window to open it rather than go through the File > Open path. Use this feature for dragging a file onto a page for a super fast upload. 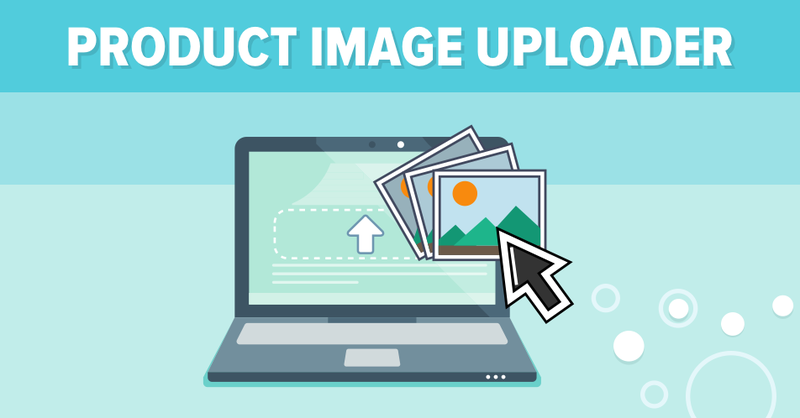 In the General tab on the editing product page, upload the main product image. Once you upload the image, you can crop it by dragging any of the four corner handles. 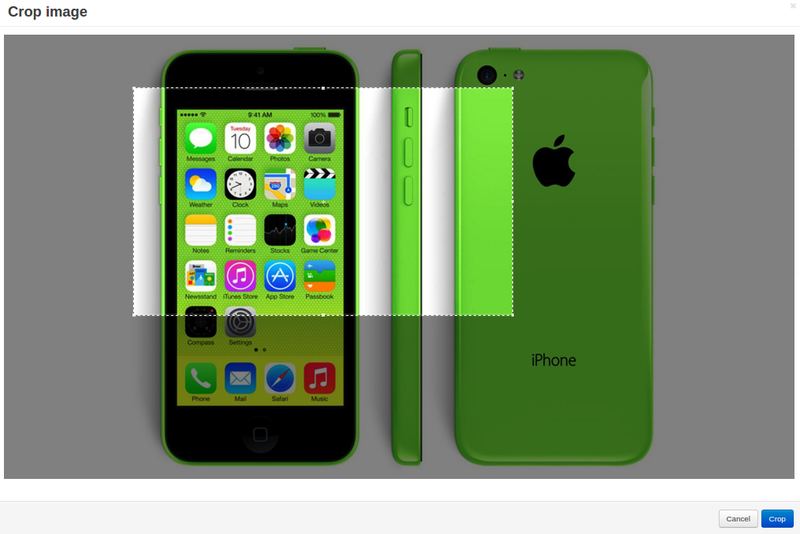 It will be cropped with the aspect ratio defined in the add-on’s settings: 1:1, 5:3, 3:5 or free. You can drag multiple files in one go. 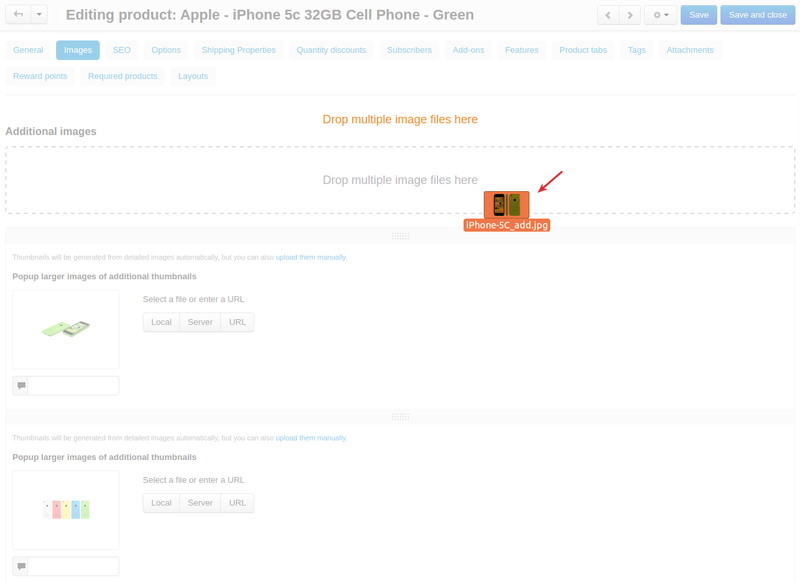 For instance, if you are uploading additional product images in the Images tab. If you hover over the image, you will see a crop sign. 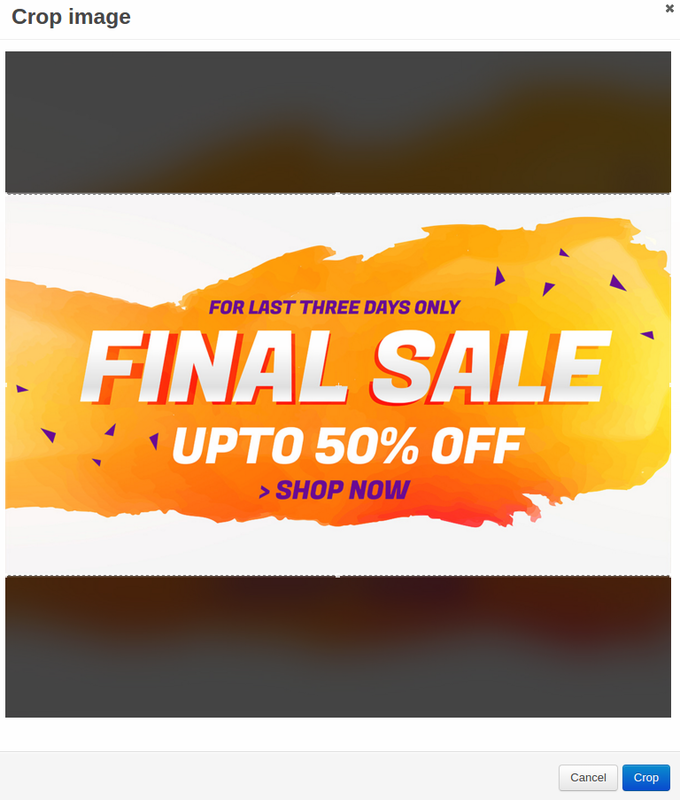 Click on the image to crop it. 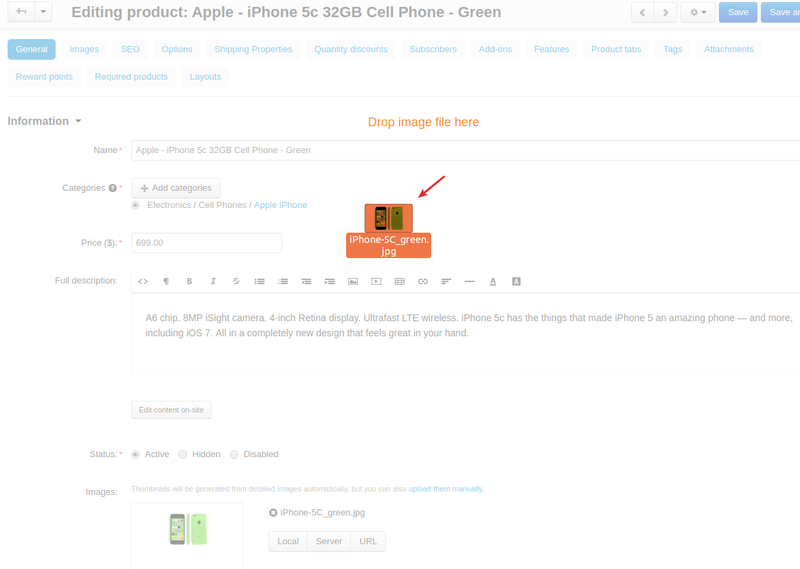 The position of additional product images can be changed by drag and drop as well. 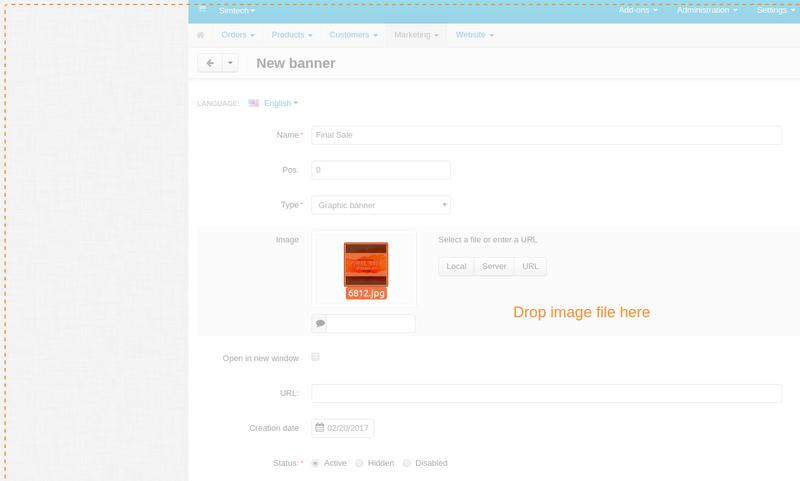 Last but not least, the add-on allows you to upload an image for graphic banners by drag and drop. Crop the image and it’s ready to be displayed on the storefront. Install the Image Uploader Pro add-on on the add-ons list page (Add-ons → Manage add-ons). Click the + button in the top right corner, select an archive and click Upload & install. You can now find the installed add-on in the list of installed add-ons, just make sure it is set to Active. 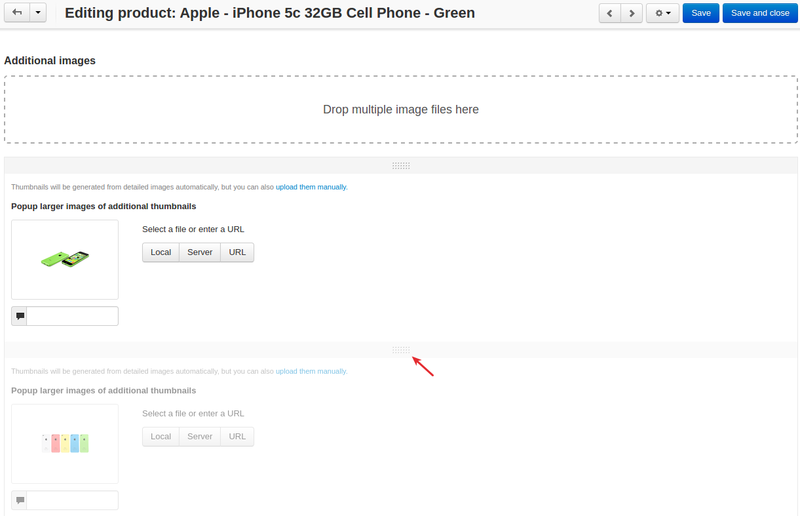 In the settings of the Image Uploader Pro add-on, you can define an aspect ratio for cropping images. 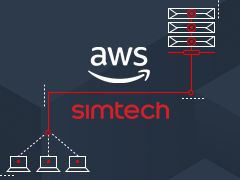 The Request Entity Too Large error appeared during images uploading is related to server settings. It may appear due to the exceeded capacity limit. Therefore please contact your server administrator regarding this issue.